The next generation cruiser from Harley-Davidson® is here. For nearly thirty years, Harley-Davidson® riders have been divided. You were either a Softail® or a Dyna. 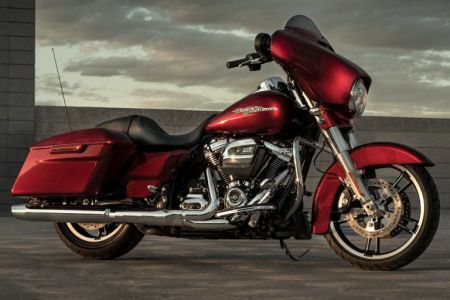 Now, in what could be the biggest undertaking in the Motor Company's history since the launch of Harley-Davidson® itself, the Softail® and Dyna have merged into a single platform. Now, by merging history with technology, riders can experience the best of both worlds in eight distinctive new Softail® platforms. Each with its unique fit and feel. A gathering is coming. An event, like no other. Ten days and nights of riding, food, shopping and live music. A rally so big it is known only as Sturgis! Between August 3rd and August 12th you can experience all that this motorcycle rally has to offer. 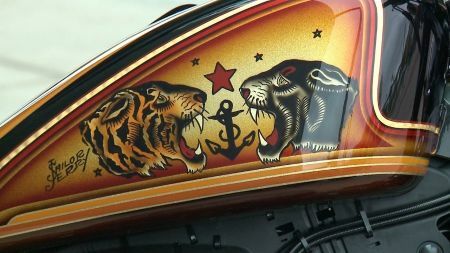 At Gail's Harley-Davidson, Independence isn't just a day; it's a way of life. That's why we're celebrating our independence alongside our nation's throughout the month of July. Bucking the wind is a natural part of riding and while the idea of a little wind in your face ins romantic and enjoyable, a steady barrage of the gusty element can be downright tiring. A proper windshield helps manage airflow around the front of the motorcycle tames wind blasts and creates a pocket of still air for improved rider and passenger comfort. The Milwaukee-Eight is the ninth Big Twin engine in the company's 113-year history. By Jay Bennett Aug 29, 2016 Harley-Davidson's Big Twin is the heart and soul of America's most famous touring bikes. As Cycle World put it: "If ever an engine inspired religious fervor, this is it." This fall the icon gets an upgrade.